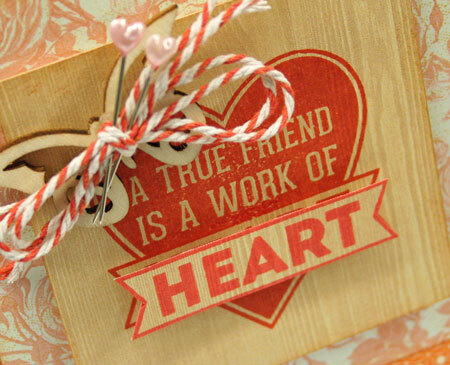 There is nothing quite like a true friend. Those friends that support us in the bad times as well as the good. The friends that understand when life gets hectic and time seems to slip by on you. They are there waiting and just the same as always. I’m blessed to have a few true friends in my life and this card is for one of them. It’s pretty simple but it’s the thought that counts. 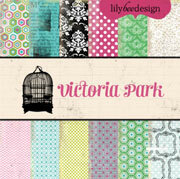 This design uses the beautiful Heyday collection from Studio Calico. 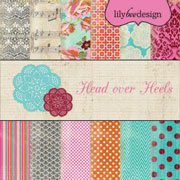 Love the fun and fresh color combos and beautiful mix of classic and trendy prints. It’s paired up with the My Favorite Sentiments stamp set from My Favorite Things Stamps. 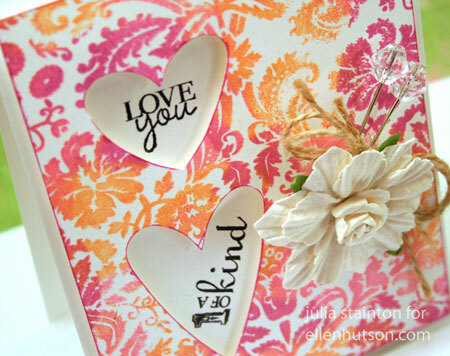 Quick Tip: Make sentiments pop by stamping them twice, cutting them apart and adhering part of it with dimensional foam adhesive. 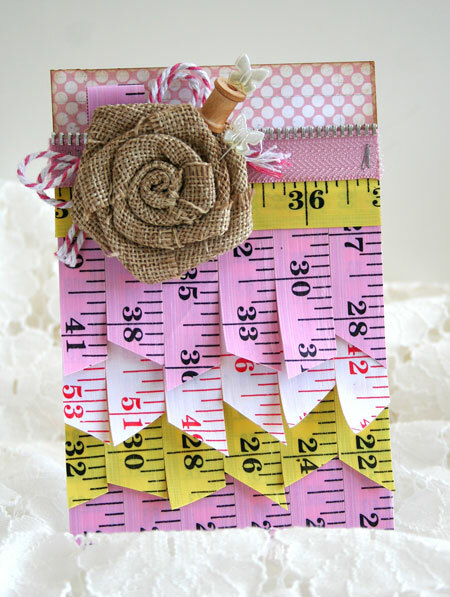 I’m back today with some more Vintage Measuring Tape love. 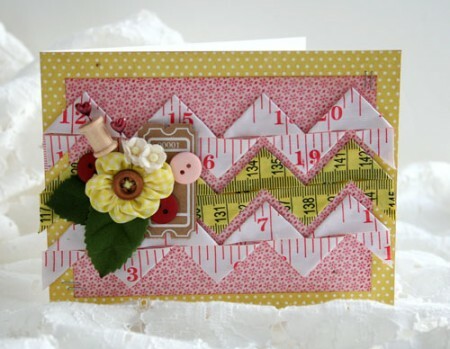 One of the cards I designed for Maya Road for CHA Summer was this one featuring their beautiful Measuring Tape trims. I had this idea for making a fun fringed look with the ribbon and it turned out just as I had hoped. To keep the trims in place, I used a Be Creative Adhesive Sheet and applied my ribbon lengths in rows. The overlapping ends of the ribbon aren’t adhered and I love how they curve slightly upwards for an interesting dimension to the design. 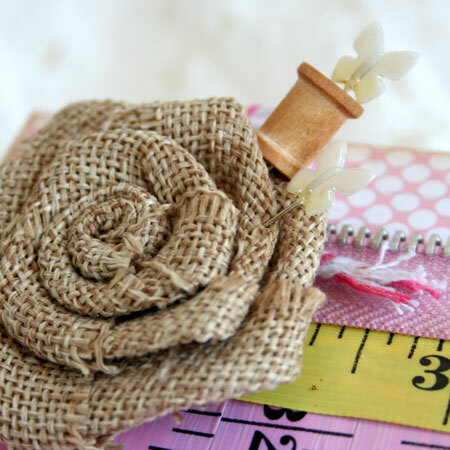 The burlap flower adds still more texture and makes a great place to pin on some additional embellishments. 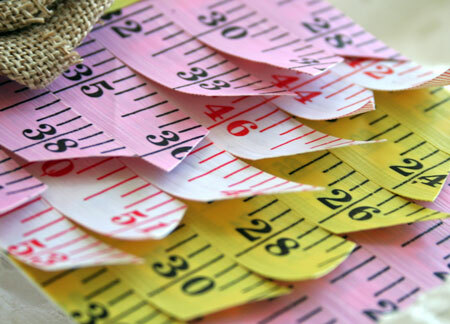 If you’re looking for more measuring tape ideas, you may have missed this post. It’s one of my favorite quotes and I’m trying to enjoy each and every moment of this beautiful summer with my family. 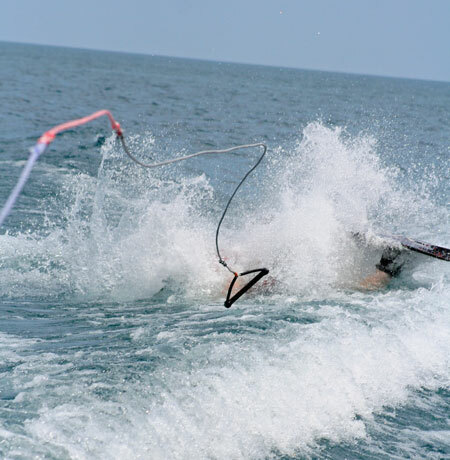 Summer is so short that we want to cram every possible moment full of enjoying it. If my posts these past few weeks have been a little sporadic, well, sometimes you just have to spend time making memories so that you have something to share. 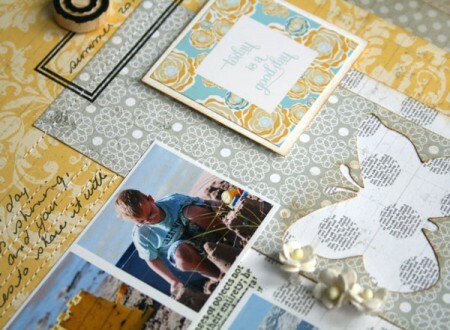 Today I have a layout to share with you that I created for a Lily Bee sketch challenge. 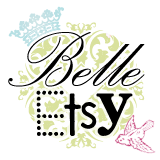 The new Lily Bee Blog has a new creative schedule and today marks the fun new beginning. Each Monday will bring you a sketch challenge and today’s sketch was created by Ursula Schneider. 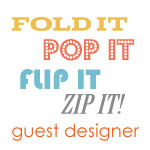 I took some creative liberties with the sketch so be sure to stop by the blog for some inspiration and to play along. I probably have serious addiction. Well. They are all different colors and do different things. Take the Memento Dew Drops by Tsukineko for instance. The fun size and shape allow you to do some fun things with them. 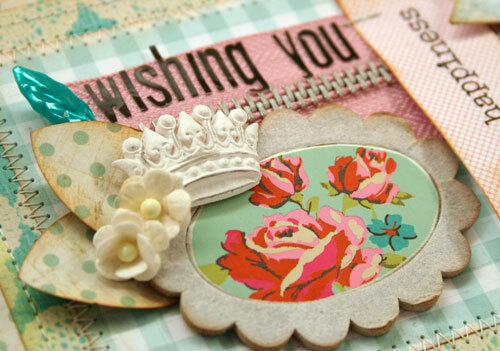 I hope you’ll join me today in the CLASSroom for three stamped card designs and some tips and techniques for these cute little ink pads. Tape measures can be a humble and useful item. As a child I always loved pulling my mother’s tape measure out of her sewing box or knitting bag, folding it, rolling it or measuring anything I could find. My very favorite…those tape measures that roll themselves with a click of a button. 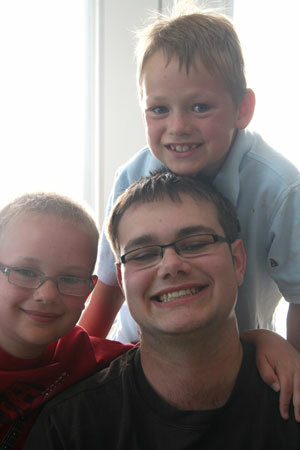 I think I broke more than my fair share of those and that tendency has passed itself to the next generation. 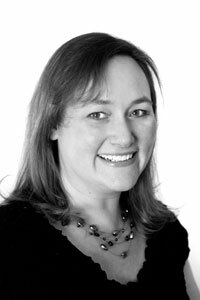 They are great to have on hand in your purse but I won’t buy them any more as my children have managed to break far too many of them. 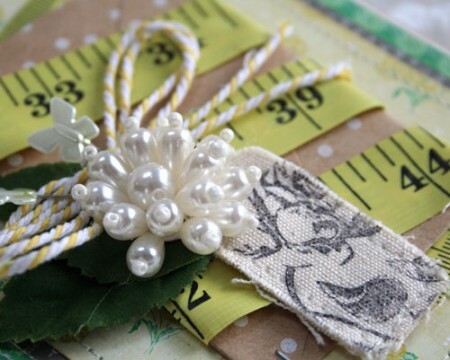 When Maya Road released the new Vintage Tape Measure Trim Ribbon earlier this year, I was so excited. 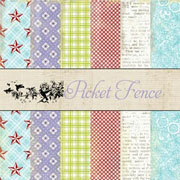 They are such a great classic trim and the heavy flexible finish makes for so many great crafting possibilities. 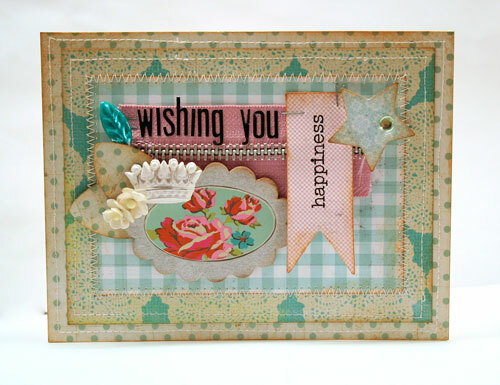 Today on the Maya Road Blog I’m sharing these couple card designs. I hope you’ll join me! 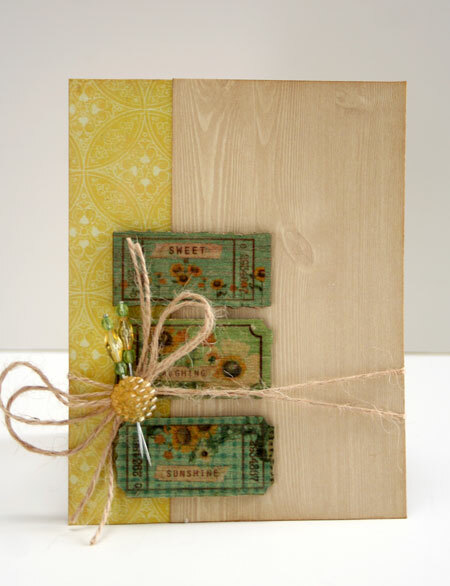 Here’s a card for a sweet sunshiney summer day. 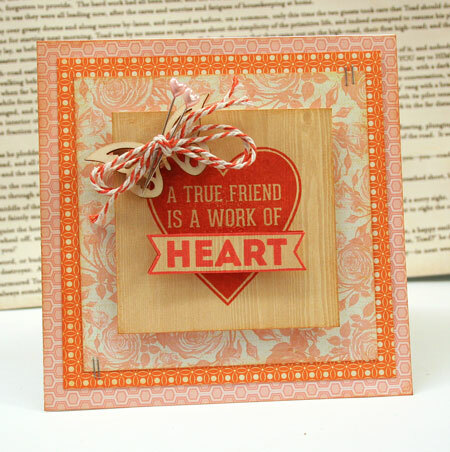 It’s super simple and focuses on beautiful woodgrain. Makes me think of the outdoors. and poor fellow had his wisdom teeth out on Thursday. He’s doing well and is looking forward to more solid food. 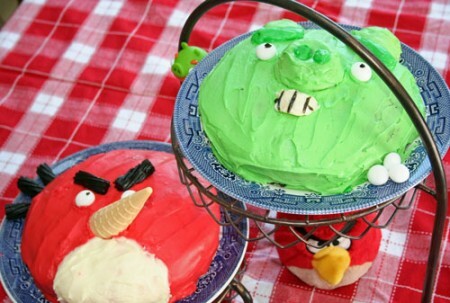 Friday brought an Angry Birds birthday party for my seven year old. Yes, I did mention his birthday in May but we finally managed to have the “friend party” this week. It just spreads out the love a little longer right? 🙂 I’m sure it had nothing to do with my crazy life. My sweet daughter decorated the cakes. I think they are darling and were a huge hit with the little boys.